If you want to create healthy habits, lose or maintain your weight this needs to change. However, they often later go on to detail that their eating behaviours get worse throughout the day, they find they give into temptation more or find themselves raiding the cupboards as soon as they get home from work in search of something to tie them over until dinner. This is completely normal but also detrimental to your goal of creating healthy habits. Psychologically, skipping breakfast may make us feel that somehow we are saving calories that we can use later. Often this mind set is reinforced by commercial weight loss programmes that promote a points system where you save up your food points to be spent on different treats. The idea that skipping breakfast now will help you in your weight loss efforts later is a very detrimental myth. By doing this you are setting up yourself for failure. Scientifically, the increased likelihood of giving in to temptation (often as a result of skipping meals) is known as depletion. As mentioned before, your self-control is limited. Every day we make thousands of decisions, the more decisions we make, the more worn out or depleted our self-control becomes. Therefore the more we try to resist temptation throughout the day the more we use up our valuable self-control resources. Making ourselves more vulnerable to giving in to temptation as the day progresses. If we don’t eat breakfast the depletion effect, coupled with the effect hunger has on our ability to make rational food choices makes us predisposed to making poorer choices as the day goes on. In support of this in our own research study on temptation we found that people were much more likely to give in to temptation in the evening which was thought to be due to having to resist multiple temptations throughout the day (McKee et al., 2013). The media often leads us to believe that no one ever succeeds at long term weight loss maintenance. Although you don’t hear about it as often, there are people who have achieved long term success and there are many useful lessons that we can learn from examining how these people create healthy habits. In 2004, a group of prominent researchers studied 4000 individuals who have successfully lost and maintained a significant amount of weight over 5 years. In this study they discovered the top 5 habits most highly correlated with success. Unsurprisingly, eating a regular breakfast was one of these. In fact, very few (less than 5%) reported ever skipping breakfast. So what is it about breakfast that makes it so crucial to long term weight loss success? People who eat breakfast get more nutrients. This is particularly interesting, not only from a nutritional standpoint but also as there is a new school of thought (and research) coming out to test the hypothesis that the more nourished you are the less hungry you feel. Eating breakfast preserves your self-control and improves your ability to resist temptation throughout the day. 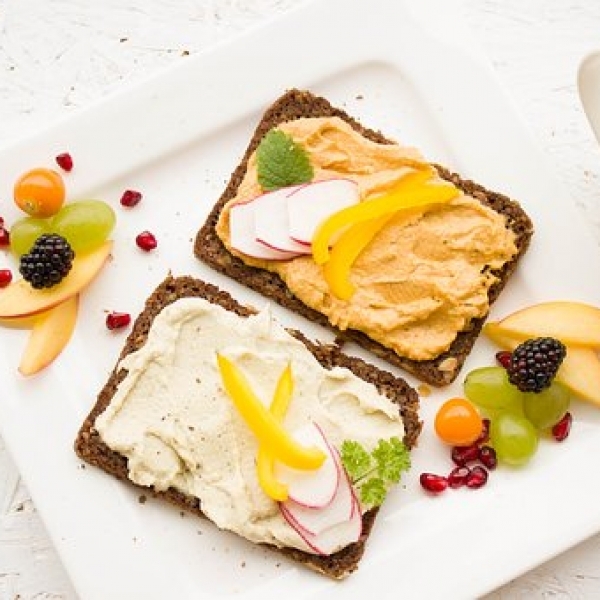 If you have a filling and nutrient dense breakfast you are less likely to give into tempting snacks before lunch and less likely to make poorer food choices at lunch. Eating breakfast makes it more likely you will exercise more. It is thought that nutrients consumed at breakfast may leave a person with a better ability to perform physical activity. Eating breakfast is thought to improve academic performance and outcomes in children. This operates through providing them with more fuel to be able to focus throughout the day. If you are not a breakfast eater and it seems way too much for you to start creating a healthy breakfast habit right away, why not try focusing on starting the day with a healthy drink rather than food? Often one of the reasons some of us aren’t hungry or don’t want breakfast in the morning is that we are dehydrated. By having something simple first thing, like a hot water and lemon it helps to both hydrate and detoxify us. In addition it is an act of self-care that helps kick-start our day in the mindset that we are taking care of ourselves and trying to do the best so we can be at our best throughout the day. Key tip to make it easier and thus more likely you will stick to this habit: When you get a lemon slice it up into segments immediately and keep in fridge or freezer at work or at home. That way you don’t have to go to the effort of chopping each time. Additionally you can leave your cup, container or glass out on the counter or in work the night before to act as a cue to remember to have your hot water and lemon drink. The same goes for those of us that skip breakfast on the weekend or when travelling too. This also has an impact on your long term success. Can you think about the particular scenarios that you may skip breakfast in? Is there a way you could ensure that you get something nutritious and sustaining in these scenarios? If you are travelling, is there anything you could pack? Even something as simple as nuts and an apple or a yogurt can go a long way to fighting off cravings, helping you resist temptation and keeping you on track. If you are not a consistent breakfast eater I urge you to try and start creating a healthy breakfast habit. Research has shown it only takes about 3 consistent days of eating in the morning for the body to adjust. Even just try it one or two days this week and note the impact it has on your energy, concentration and hunger levels later in the day. The primary aim in establishing this foundational habit is to firstly create a consistent breakfast pattern. The next step is to look at the quality of the breakfast you eat. What if you already eat breakfast consistently? In the next post we will examine how we can maximise this foundational habit in order to make the biggest impact on your success. I will be unraveling the main mistakes people make when it comes to breakfast eating and listing the top evidence based breakfasts that will help you avoid temptation and see you right through lunch. If you would like to learn more about creating healthy habits that last. I am running free 20 minute consultation calls on September 15th. Email info@weightlossiq.co.uk to arrange a call now.